This is how I spent my weekend. About a week ago, I drew up the sheets showing what I have in available stock. I then made out a list of items that need filling for up coming craft shows. 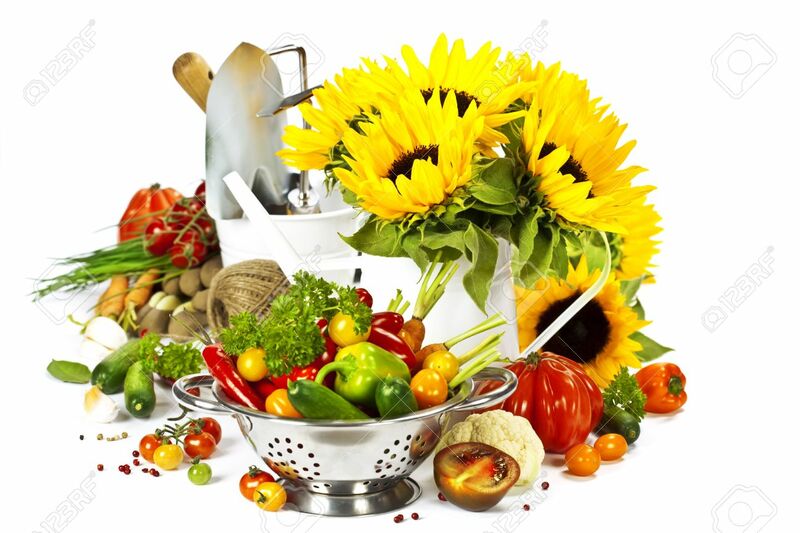 According to my figures, I would like to create 12 additional purses before the end of August. Here is the start of that dozen and I am pretty pleased with them. This first one was originally going to be my own personal one. 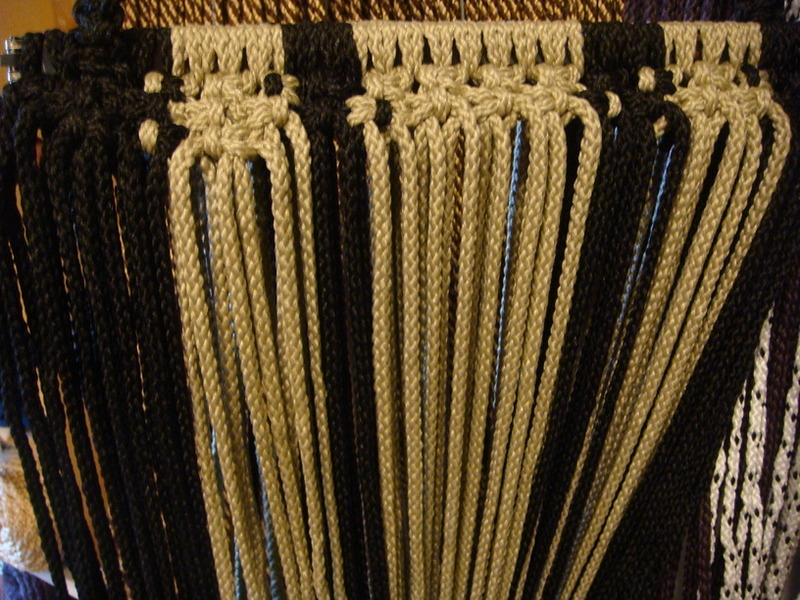 It is a 12″ flex frame made with tan, black and ivory 6mm macrame cord. I have been putting this one off for so long; mostly because I have an 8″ and a 17″ flex frame already. There is nothing worse then working on something for yourself when you have an extensive plan in the works. Here is another 12″ flex frame purse; I only have one in stock and these are very popular. They are just the right size for the average women’s personal items. This one is eggplant on the sides and strap with a center panel of black and white. This and the last one have a 22″ strap length, perfect rest at the hip. This purse is 14″ and is a clutch or handbag, there is not a strap. I am really happy with the bead and two-tone brown patten. A great fall into winter purse, it can be used for any occasion. As you can see these purses are not finished. They are at the set up stage. I have a few different stages that purses can be at. First there is the cut stage; where all the material is cut and hanging to be set up. Set up is the stage where all the cut pieces are connected and the body is left to finish. Lastly a purse will need a lining. I like this color combination because it is the same as my 17″ flex frame, but this is 14″ in size. I have gotten so many compliments on mine that I thought that I would share a little bit. Even though I have these to knot up into finished pieces, I just could not sit still enough to start work on the bodies. I figured with it being the weekend, I still had about an hour to prep a couple more purses. So here is how I ended my weekend. 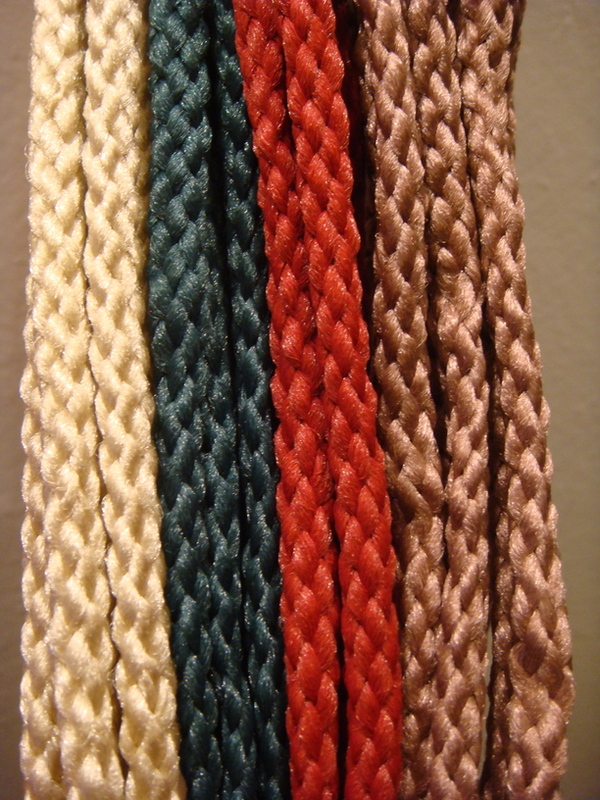 I cut enough 6mm cord for four more 12″ flex frames. They will be solid in color but with a pattern in the weave. 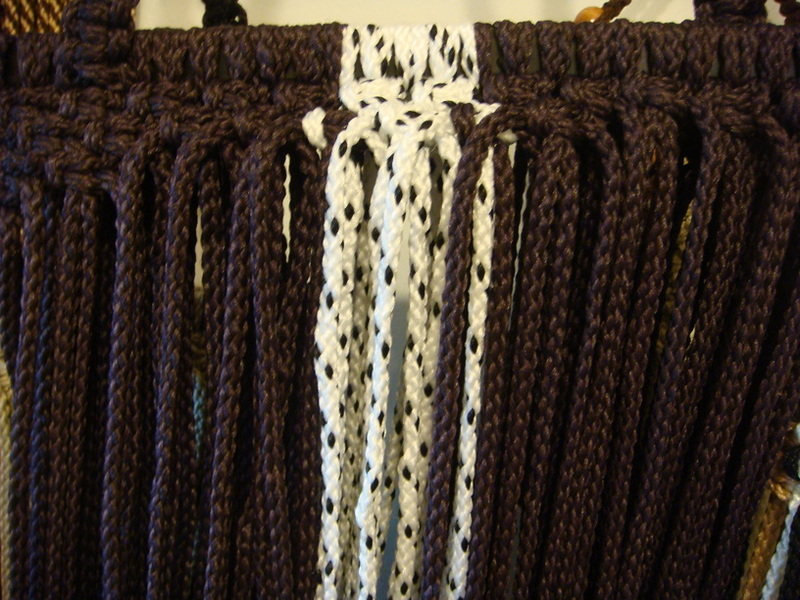 When these purses are completed, the pattern will have a ribbed look. 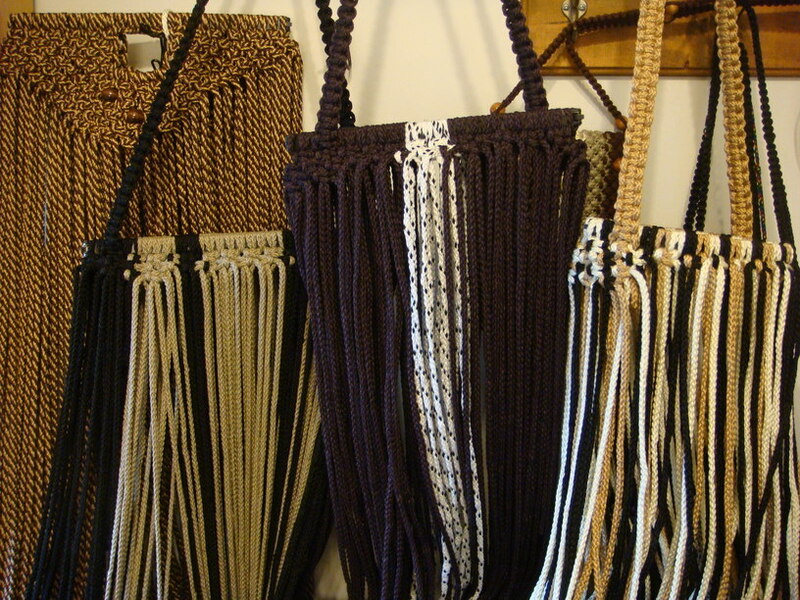 From left to right is pearl for an oatmeal purse. Oatmeal was the color of the first Hippie Bag I made in an earlier post. 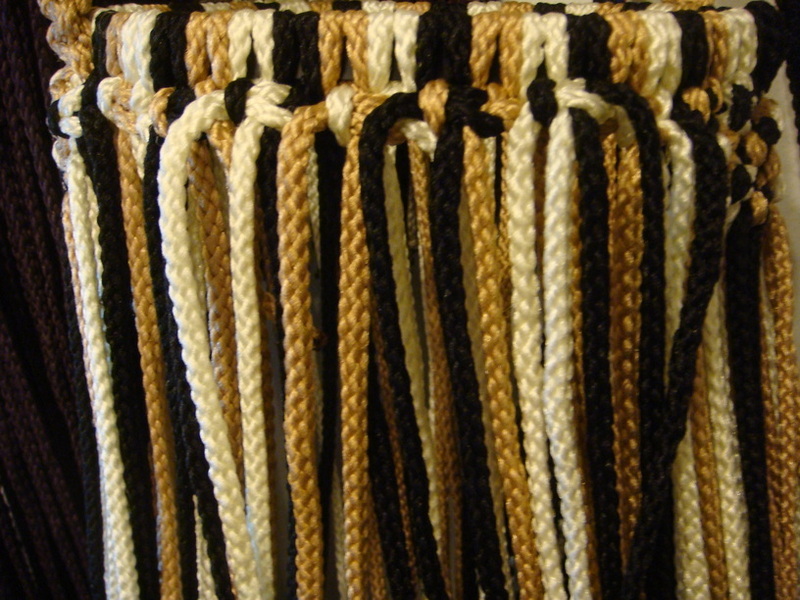 The oatmeal color is made from a blend of ivory and pearl within the cord. I decided that the strap would be solid pearl with the oatmeal body. The next color is forest green. Next is the color wine and the last is mauve. You can be sure that I will be showing you each one as they are finished. For now I am satisfied with a great start. 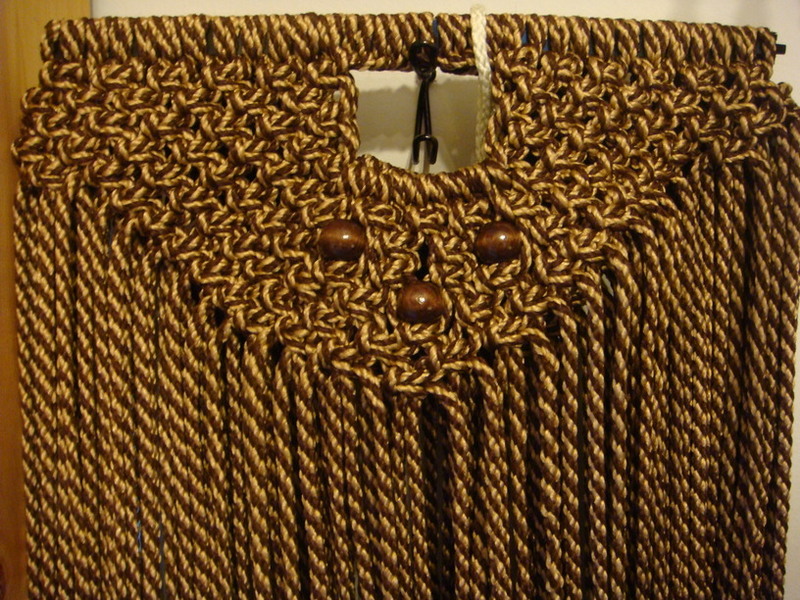 This entry was posted in Main Page and tagged 6mm, beads, color combination, crafts show, flex frame, large, macrame, macrame purse, medium, purse, shoulder strap. Bookmark the permalink.